Wright Chat :: View topic - Pattern books? Posted: Fri Nov 28, 2014 11:13 am Post subject: Pattern books? Did any of the Prairie School architects ever allow their work to appear in pattern books? Good question. One might have to prowl the dusty stacks of a large and unculled city library collection to find the pattern books that would answer that one . . .
Insipid, characterless, "safe" recipes for replication of past residential styles -- in the service of a New Suburbanism ? The last one above cites "painted brick" as one of the ingredients of the Craftsman style . . .
Hermann Valentin Von Holst wrote "Country and Suburban Homes of the Pairie School Period" in 1913. Not exactly a pattern book, it's more of a history of the style. The only FLW houses included (on one page) are one image each of Hickox, Ch. E. Brown, Isabel Roberts and Willits, plus the Tallmadge & Watson Elias V. Day House in River Forest which FLW remodeled for a subsequent owner after a fire. There are also some WBG and T&W houses represented, as well a church by MMG and a house by himself. I've enjoyed my copy. Spencer & Powers, Henry K Holsman, Tallmadge & Watson, Charles E White, Jr, Lawrence Buck, early California bungalows, and even some garages including a couple that could be the work of the brothers Greene. Lots of line drawings: elevations, sections, plans. The librarian at the Oak Park Home & Studio might be able to help you. wrightplus.org. A favorite image from von Holst's book . . . I have the von Holst book on the Dover imprint. It's not really a pattern book as such, more like a compendium of articles from home magazines. 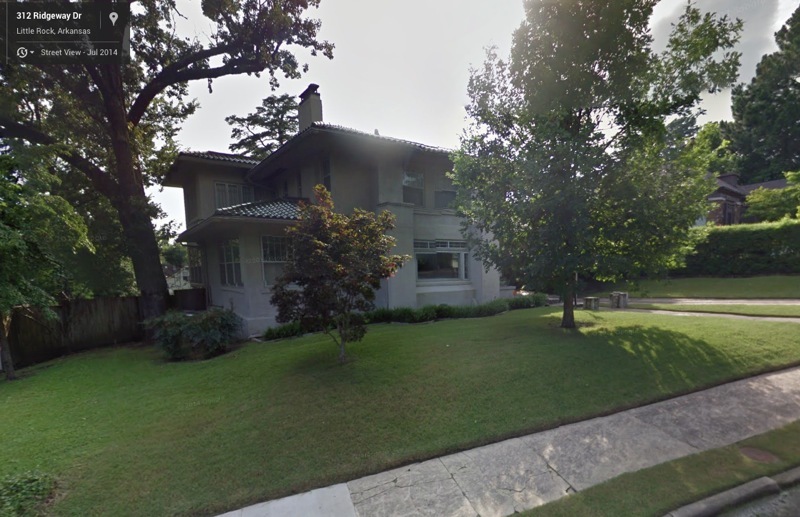 I was just wondering if there was a known source for the sorts of Prairie, prairie-lite, and prairie-ish homes you sometimes see in A&C neighborhoods outside the areas where the main Prairie School architects worked. Since most of the bungalows and foursquares in these kinds of neighborhoods either came from pattern books or kits, I figured there must have been some published Prairie designs too? 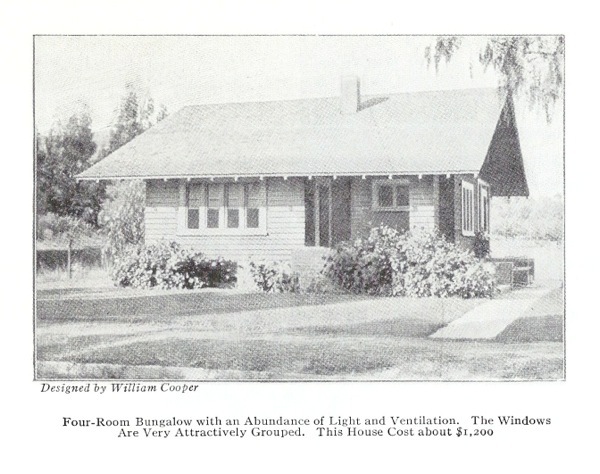 That Cooper house is an attractive little bungalow. How about the pre-cut homes that Sears Roebuck sold for years ? I would expect to find all popular American styles represented . . .
Hmm . . . also Aladdin Houses ("Sold by the Golden Rule"). Plenty of Craftsman; no Prairie. Sears No. 181, from the 1913 catalog, is the only near miss, with its slightly greater roof overhang and cladding change at the second-floor sill line. But the detailing is generic American, with turned porch posts, etc . . . Note the discrepancy of addresses . . . ! Where did the Model 2617 show up ? Did it have a manufacturer ? It's from Gordon Van Tine, they were a supplier of kit houses. Thanks. The site says the 2617 was offered "briefly" in 1917-18 . . . The catalog cover graphics from the 'teens and 'twenties show the influence on commercial illustrators of the fine art of the previous decades (see Japanese prints threads). It seems to be a pretty direct crib of the Walser/Barton plan.